Two Armenian children who disappeared to avoid deportation have been found, police in the Netherlands said Saturday, shortly after the justice ministry announced they would be allowed to stay, the latest twist in a drama that has gripped the country. 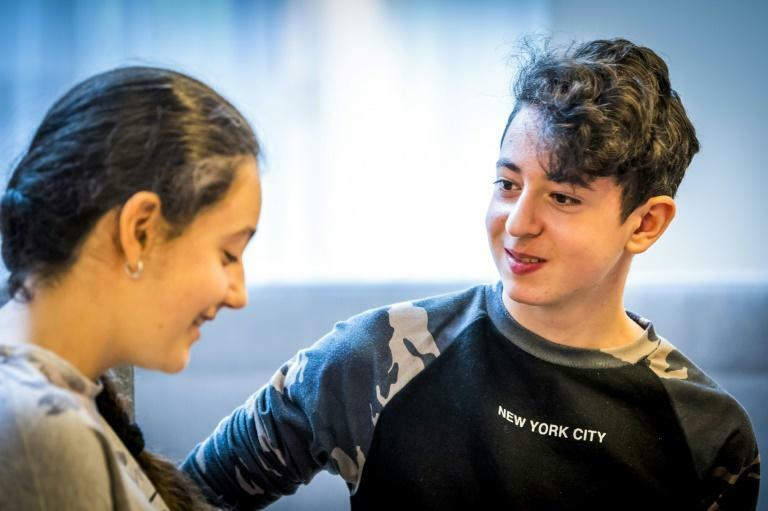 Howick, 13 and his sister Lili, 12, who had gone into hiding several times before to avoid the authorities, were due to be deported to join their mother in Armenia, after a last-ditch legal bid failed to stop their expulsion. They were found "in good health", police in the southeastern city of Wijchen said in a statement, a day after they were last seen at their grandparents' home there. News that they had been found came shortly after the justice ministry said in a statement to AFP that Migration Minister Mark Harbers "after careful consideration decided that the children can remain in the country". The saga has been headline news in the Netherlands, with Prime Minister Mark Rutte and Dutch royal Princess Laurentien weighing in, while the youngsters have appeared on national television to plead their case. Howick and Lili last went missing a week ago, after the Hague-based Council of State, the country's highest administrative court, ruled there was no reason why the two teens should not be sent back to Armenia. The children have been living with foster parents since their mother, Armina Hambartsjumian, was sent back to Yerevan last year after her asylum request was finally denied. Just before leaving the country the 37-year-old briefly hid the children, refusing to tell immigration officials where they were. Hambartsjumian was deported without them and has since told Dutch supporters she is unable to look after her children in Armenia. By the time Howick and Lili eventually emerged that time, their case was before the courts. On Friday, the children's lawyer had launched a last bid at the Amsterdam court to halt their expulsion, arguing that their mother was not able to look after them. But the judge ruled that there was no viable reason to stop the deportation.